We are personal injury specialists. With decades of experience we will make sure you receive the maximum compensation possible. Our experienced team of personal injury solicitors deal with all types of road accident claims and obtain compensation for the different types of injuries sustained, including whiplash, fractures, loss of limbs, or dental and eye injuries as well as psychological injuries such as travel anxiety or adjustment disorders. If you suffer an injury as result of a road traffic accident, which was not your fault, then you will be entitled to make a claim against the other driver. At the scene, to help your case you should take as many details as possible - such as the registration of the other car, the names, addresses and telephone numbers of the other driver and any witnesses to the accident and take photographs of all car damage. If you suspect a crime has been committed by the other driver, contact the Police immediately. If anyone is seriously injured you should call for an ambulance, otherwise you should seek medical treatment from your local A&E or GP. Please keep receipts for any private medical treatment needed. Your case will be handled efficiently by an experienced solicitor. Your case will NOT BE HANDLED BY A CLAIMS HANDLER. We will arrange for you to be medically examined to assess your injuries and we will meet with any witnesses to take statements . We will assess your eligibility for legal aid if necessary and help you complete the application forms. We should be able to recover expenses such as private medical costs and loss of earnings. We will organise private physiotherapy free of charge and arrange vehicle hire again at no cost to you. 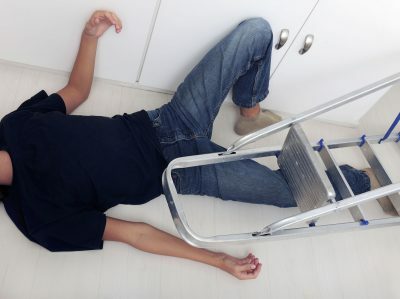 If you have had a fall in a public place you may be able to pursue a personal injury compensation claim. If your accident happened on a public footpath, road or park, you may be able to bring a claim against the local authority if your accident was due to their negligence. If you have slipped and fallen in some other public place, e.g. a restaurant, supermarket or leisure centre, you may be able to bring a claim against the owner or occupier of the premises under their public liability insurance policy. To assist your claim, if your fall was due to a defect in the public footpath or road then you should try to take photographs of the accident site as quickly as possible. You should also record details of any witnesses to your accident, as these may be useful at a later date. When you advise us of your accident we will make enquiries to determine the identity of the body or individual who is responsible for the area where you fell and we raise your claim with them. We will arrange to meet with any witnesses to take statements. We will also arrange for you to be medically examined to determine the extent of your injuries. We will advise you on your eligibility for legal aid if appropriate and assist you in completing the necessary forms. Whether you work in a shop, factory or construction site, if you suffer injury as a result of your employer's fault you are entitled to compensation. Accidents at work can happen any day. Some are only minor accidents but others can have much more catastrophic consequences and therefore can affect your future earning potential. Our specialist team is dedicated to recovering the maximum compensation resulting from your accident, compensation for your injuries sustained and also any resultant wage loss. Injuries due to lack of provision of appropriate health and safety equipment. We know that some of our clients are concerned about pursuing a claim against their employer however you should be aware that employers have to have insurance in place that covers any workplace accident. Our specialist team have considerable years’ experience of a variety of accident at work claims including Vibration White Finger claims, Repetitive Strain injury claims, Dermatitis and skin condition claims and also hearing loss claims. We will assist you with preparation of your claim and obtain photographs of incident location, inspection of any faulty equipment, obtain statements from any relevant witnesses and have you medically examined to assess the extent of your injuries. We will assist you with the preparation of any paperwork including an application for legal aid, an application under your home insurance provider for legal expenses cover or an application to a provider of After The Event Insurance.